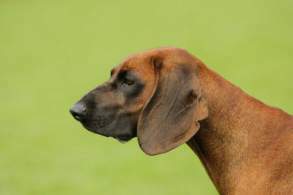 The Bavarian Mountain Hound is a medium-sized scenthound that has been long-cherished by hunters and gamekeepers in the Bavarian Mountain region. 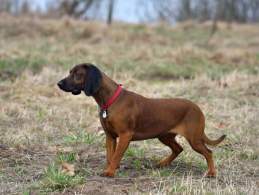 The breed is ideal for either hunters or very physically active individuals and families. With early socialization, they can make good companions for homes with kids and other dogs. Training should be pretty easy, along with grooming, however, exercise needs are rather extensive. BMHs often live 12-15 years with very few health concerns. Intelligence- This breed is quite trainable, even for a first time owner. They are naturally calm and obedient, however, this intelligence can turn into nuisance behaviors if not mentally stimulated enough. These working dogs enjoy conditioning and training for hunting activities. Kids, Strangers, Pets- BMHs, if well socialized, can do great as a family companion and in a household with other dogs. They may need extra socialization for other pets, like cats. These docile dogs are not usually aggressive but may remain reserved around strangers. Exercise- This is a must! If you don't have time to spend 1-2 hours exercising them outdoors (everyday), don't get one. 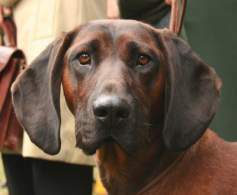 Ideally, they are working dogs that should live as companions to hunters and their families. A large yard is still recommended, even for the active owner. 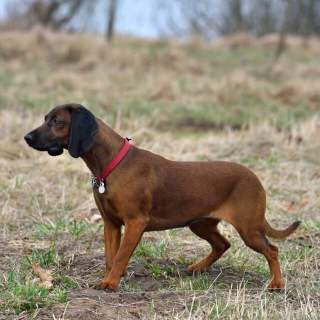 An under-exercised Bavarian Mountain Hound may develop destructive behaviors. 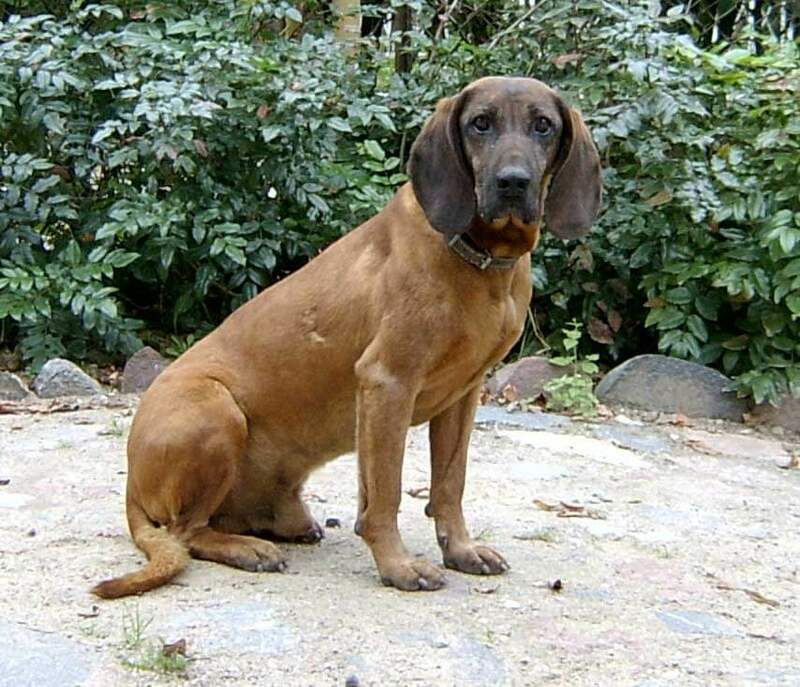 The Bavarian Mountain Hound's temperament is that of a natural hunting companion. They are very loyal, obedient, confident and brave. This is not a breed to be left bored and lonely all day, everyday and may develop destructive behaviors if not exercised enough (both mentally and physically). With early training and socialization these can be good additions to a family and get along well with other dogs; due to their hunting instincts it may take extra effort to socialize them with other non-canine pets. Although BMHs may remain reserved around strangers, they are not aggressive dogs. Below are images and pictures of the Bavarian Mountain Hound dog breed. 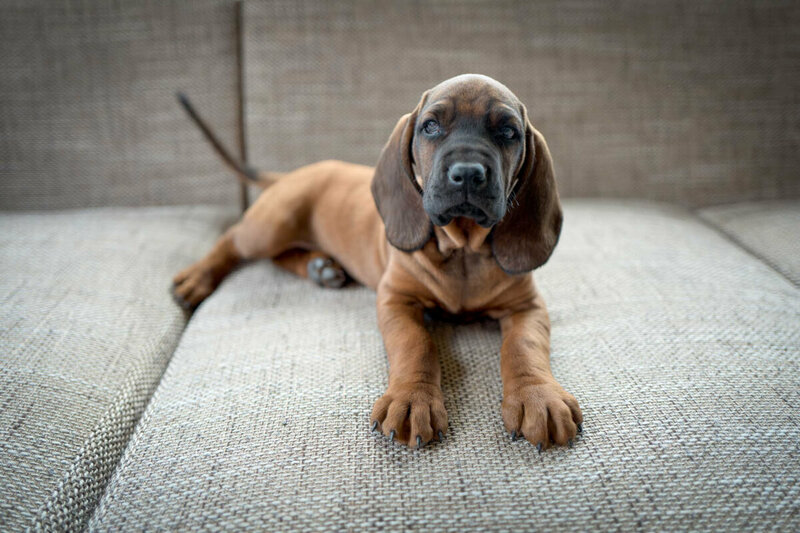 This robust breed will be around to hunt with you for 12-15 years! They have very few health issues and the two of most concern are hip dysplasia and epilepsy. 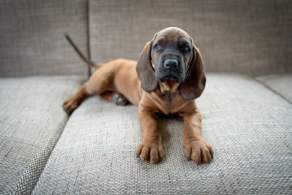 Choosing a responsible breeder that offers health guarantees and proof of genetic testing is the best way to prevent taking home a puppy with these issues.